It was fabulous!!! much needed and thoroughly enjoyed every minute of it! 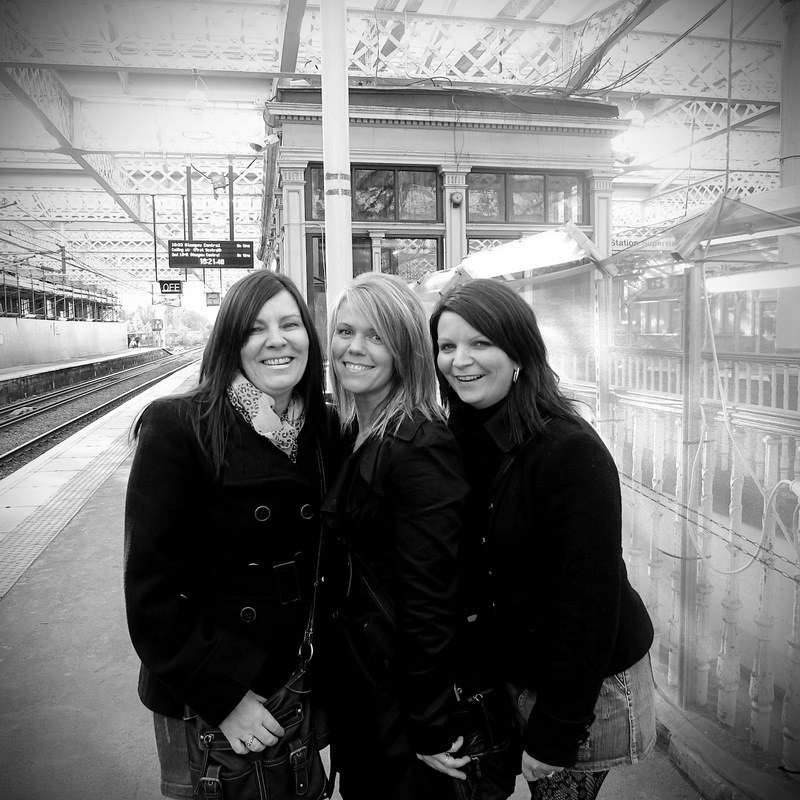 Thought I would share this pic of me and my cousins on our way up to Glasgow! So I have no layout to post because I am having a hard time getting in to the swing of things but hopefully by tomorrow I will have something to share! Oh Lynn I am so glad you are back!!! Can't wait to hear all about your trip! See you this week. Such Shabby Chic Design!! Awesome Creativity! I didn't know you were into scrap booking....FUN! I like it....but I don't make the time. I have tonnes of stuff...my Mom is really in to it. She is now doing the online creative books. They are really neat too. Well, I have to say I am so impressed with your work of art! Thank you so much for making the "Imagine" weekend so special with your fabulous projects. It was a jam packed fun filled weekend. Can't wait until the next one. Love, love, love your Shabby Chic classes--can't wait to see my finished book. Love, love, love your Shabby Chic classes--can't wait to my finished book. This is my second attempt at the comment. The first one came out as anonymous, as you can see--hopefully this one works.